There are different ways to personalise your rings. 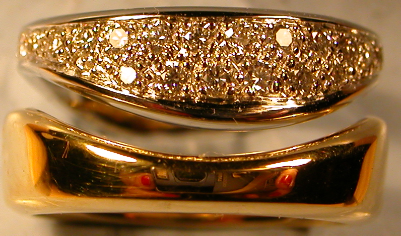 A diamond inside the ring - this can be useful especially if the groom feels left out! Pair of Platinum wedding bands. Ready made rings - which should be cheaper from me as I have no shop expenses to pay for. 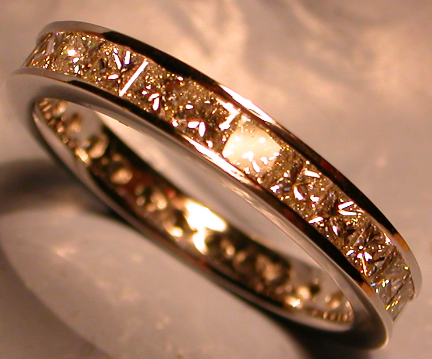 This full eternity ring with princess cut diamonds is made from Platinum but could also be made from 9 or 18 ct white or yellow gold - depending on taste and budget. 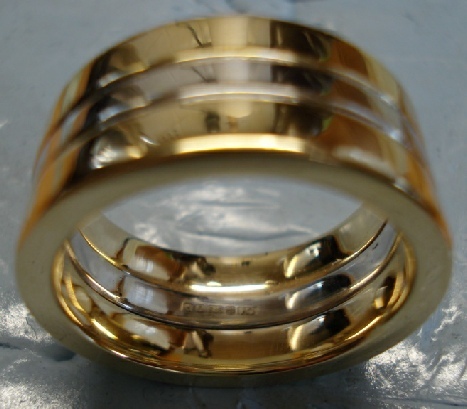 There are no set rules for what a wedding ring should look like although most people like to have a band symbolizing the eternal circle. What you do with that band varies to each person. You can have it plain, patterned, with stones, different shapes in fact anything you want! Both partners can have diamonds and in some cases the more the merrier! I have put some pictures on this page of some of the different rings that I have supplied over the years, perhaps it will get your creative juices flowing. Made in 9ct white and yellow gold. 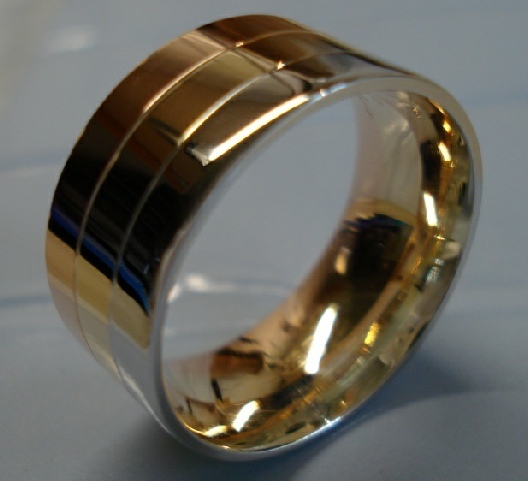 This chunky wedding band has a moveable band in the centre which is made from the same piece of metal as the husband’s ring. Giving the appearance of a chunky ring this ring made from 9ct yellow, rose and white gold is surprisingly comfortable as it has an inside that has the feeling of a court ring. 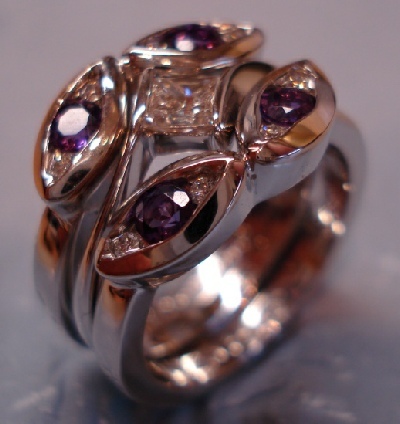 So, come and talk to me about your ideas for wedding rings and let me put your dreams into reality. It may be easier and more affordable than you think!